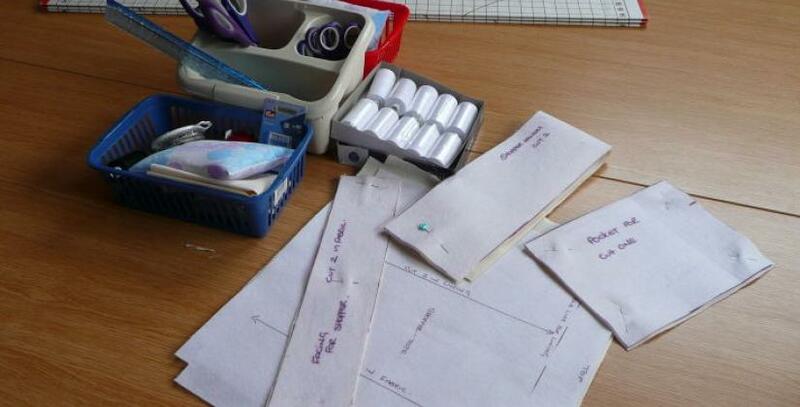 One of our customers has found life after redundancy by starting a new business teaching sewing skills. Tracey Christie had been working at Osbornes Stationers in Arnold, Nottingham, when the firm went into administration in December and she lost her job. But she decided to turn the setback into a positive experience by taking the opportunity to start a business called Simple Sewing Workshops. Tracey now teaches people how to use sewing machines to make clothes, curtains, cushion covers and other simple items. She has rented a unit at our Arnold Business Centre, in Nottingham, where she holds her classes and workshops. She says "I have been sewing myself for over 35 years. I started making my own clothes at the age of 13 and I’m a self-taught dressmaker. I then did a basic course in tailoring at night school to find out how to finish things off and make them look professional." When I was made redundant, I decided to try and do something for myself. My husband is retired and I wasn’t keen to take a job where I was tied to a contract. I wanted the flexibility of being self-employed and working on my own terms. Tracey had originally considered moving into a shop in Arnold High Street but decided against it due to the expensive rent and the fact she would need to commit to a five-year lease. Instead she decided to rent office space at our Arnold centre. The business centre is in a fully-restored hosiery mill and includes serviced offices and storage units. I can see the mill from my kitchen window so it’s a really convenient location for me. The business unit was the right price and a good sized space. It’s just the right size for my needs. It is still early days for Simple Sewing Workshops but Tracey has already held some classes and is hoping to spread the word about the business to more keen learners. She says: “A lot of people don’t have sewing skills now. I think some people are frightened to use a sewing machine because they’re not sure how.